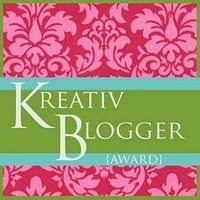 Followpix - fashion blogger genova: AWARDS-so happy I am! Hey Maretta! Figurati, te lo meriti!! Hey Silk bow:-) you deserved it! Ciao Cara, ho seguito il tuo consiglio sui capelli e oggi sono leggeri leggeri e voluminosi!!! Oh Scarlett sono contenta che abbia funzionato anche su di te! Ciao Elena! !Guarda ve lo meritate, mi piace proprio il vostro blog:-)Fate sempre un ottimo lavoro, e ultimamente ancora di più! !Continuate così! Baoto! !Thanks so much for the comment, you had a great idea!i'll send you a photo in few hours:-) Thanks! 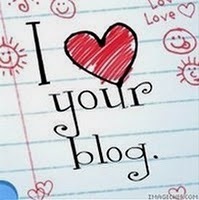 And glad you liked it, your blog is really cute and your outfits are so inspirating! Anna, grazie mille per essere passata da me e per seguirmi!!! Sei veramente cairnissima...come il tuo blog! congratulazioni per tutti questi premi! date un'occhiata al mio giveaway! a lot of thanks for the award, now I am in exams but When I finish it I try to do this!!! kisses and thanks other time!! Thanks to you rija that give me this opportunity!! well hello there!! of course we should follow eachother. (: i'm following you now! love the list, especially #7 haha. and i am also a tidiness freak! Sometimes my tidiness becomes a problem as I freak out if I see something not in its place! Hi Anna, thnaks for your post, and that you enjoyed my homemade photos! with a little imagination you can get good stuff,is not it?